How do you have a celebrity-like vacation, without taking a private jet and escaping to some deserted tropical island? You go to Barra de Potosi, you rent at Hacienda la Rusa, and you pamper yourself and your loved ones with an even better vacation than money can buy. 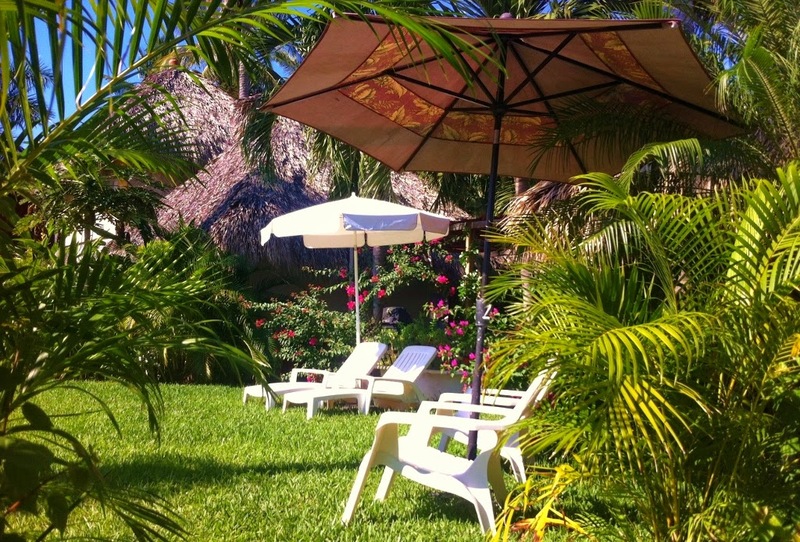 Nestled steps to the smooth yellow and black sands of Barra de Potosi beach Playa Blanca, Hacienda La Rusa offers four affordable lovely and elegant vacation rental bungalows or cabañas. Each bungalow is a delightful mix of style and simplicity. Antique furniture, high palapa roofs, tasteful Mexico-inspired accessories create a soothing and romantic atmosphere, which any demanding traveler would appreciate.